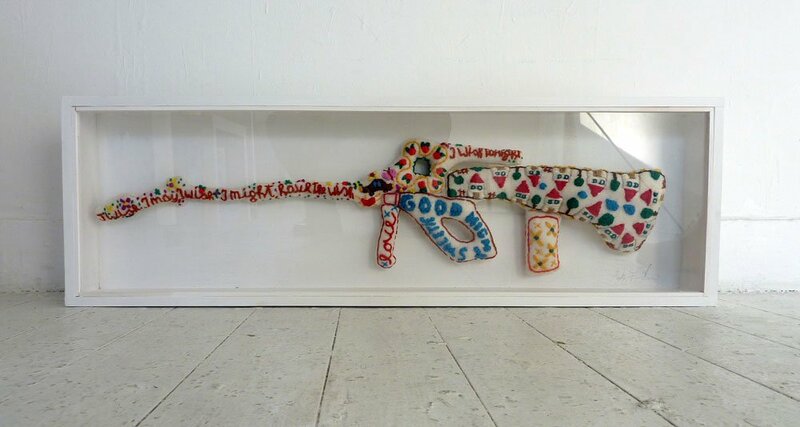 The gun is knitted with colorful and childish patterns, so it feels innocent, like a child’s toy, and safe because knitting is a familiar and homy/cosy technique mostly related to women. On the other hand, the gun is realised in its original scale, so it is a real object in shape and design, referring to danger, risk, oppression. 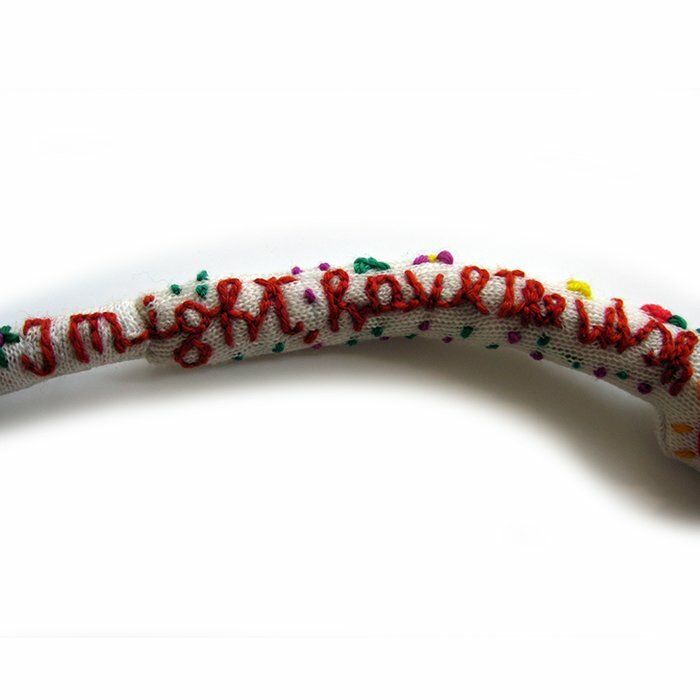 I chose knitting for the level of intimacy connected with the technique, in fact any knitted object, despite it’s level of negativity is transformed in a intimate, personal, ‘cozy’ experience. 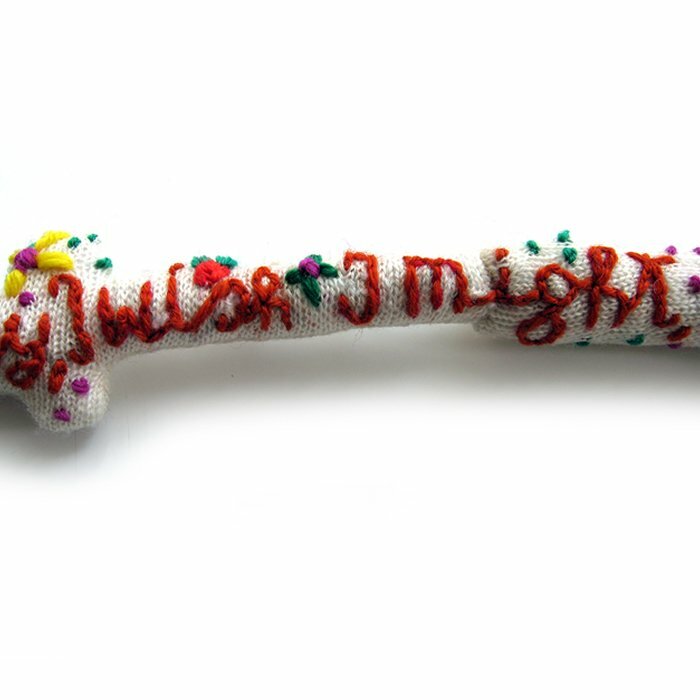 Playfulness is an important aspect of this work. As kids we are introduced to activities —toys and rule games— which are generally related with our gender and the playful side of that activity tend to hide the familiarity or attachment we develop toward these objects during the process. When I was a kid I was never encouraged to play boyish games so I was free to chose anything from dolls to cars but I clearly remember my first rifle made out of plywood, a couple of nails and a rubber band. The real appeal was the design of the rifle and how I felt embracing it. I was always carrying the rifle with it proudly strapped around my chest as it was part of my daily outfit. But I got quickly bored and moved my interest to action figures, dolls, supermarkets and any sort of accessories my little world needed in order to exist. So how strong is the attachment we develop during our early years toward objects we consider in our adult life dangerous? 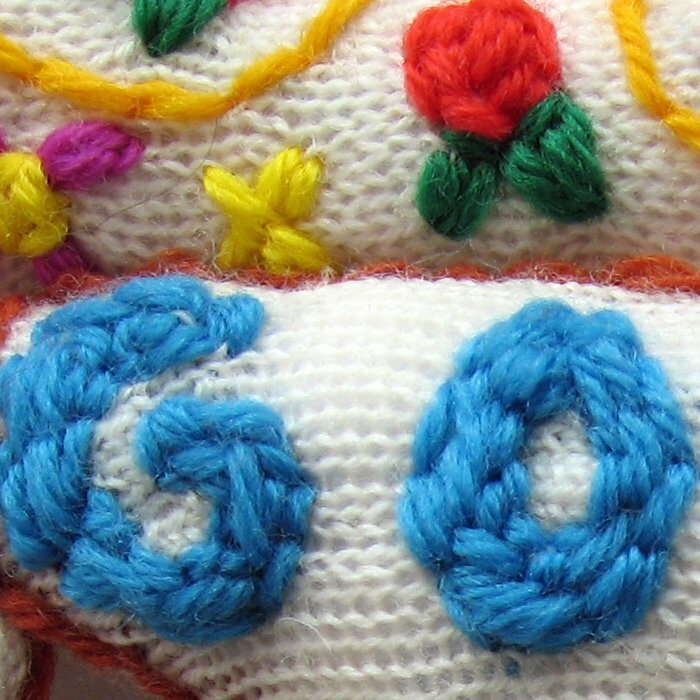 Today parenting seems to be much more aware of the risk connected to toys or games so they can impose restrictions in term of their children choices, but is this the right way to go? I heard so many times about the danger of computer games, the internet or the toy industry. I find it very difficult to start a valid argument about them. So where to start? 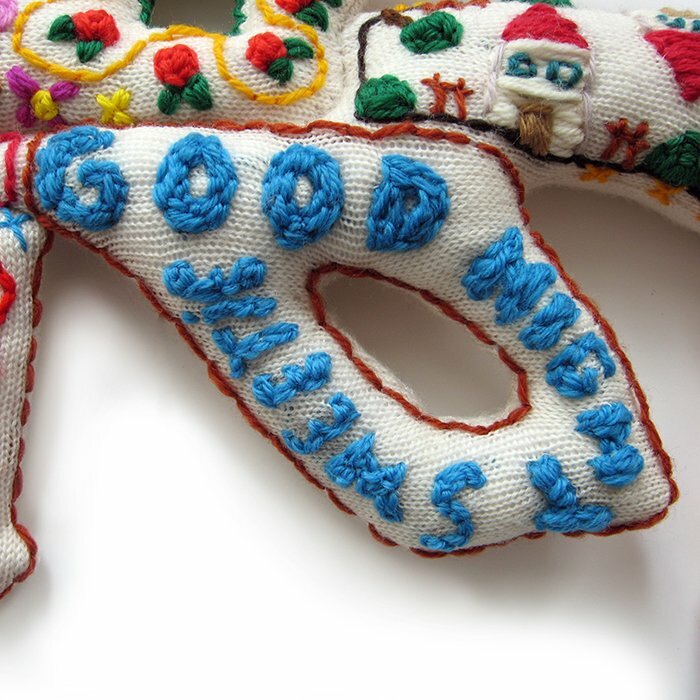 A knitted gun make me laugh, if I touch it I would think it is like a cuddly toy because it’s soft and warm. 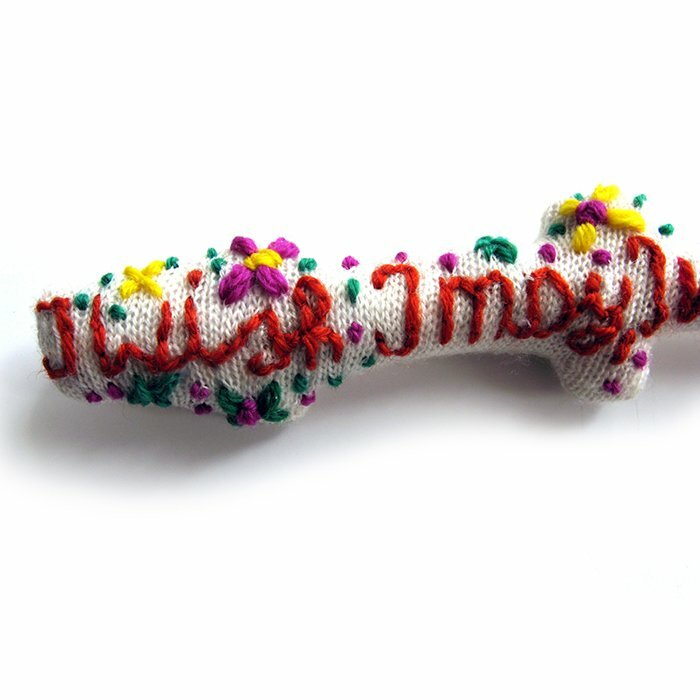 The language I chose to create this work plays with the sarcasm hidden within the object —the connection with violence and the potential of harming— and the technique chosen to shape it —knitting as feminine practice generally relegated to fashion or hobby—. What is emerging here it’s not necessary a way of arguing about the danger of weapons but mostly an investigation into what we generally consider violent and aggressive, often hidden behind innocent pieces of design, language and behaviour. Layers of meanings often cover the real nature of the object/concept offering a real chance for playfulness —no matter how deadly that playfulness is— :an exercise which constantly stirs up the level of understanding.